Having been a member of GS1’s Supervisory Board since 2007, the NHS Supply Chain has recently signed up to the GS1 UK Data Pool in order to synchronise data for 620,000 products with its suppliers. GS1 is an independent, not for profit, global supply chain data standards and solutions organisation. It facilitates a common data set allowing an NHS partnership to drive the adoption and use of coding standards, to improve patient safety in the NHS in line with the Department of Health’s recommendations. In addition, by standardising codes, the NHS aim to reduce the purchasing of duplicate items and incidences of paying different prices for the same item across the organisation. So will the strategy work and be implemented as per the NHS plan, of having all NHS trusts using the system by the end of 2012? There are a number of elements to consider. There are a variety of reasons why a local hospital may choose a local or preferred supplier, over another hospital. Local price including delivery, preferential lead times, service quality, managing repairs and so on. With that in mind will the NHS be able to compare one set of vendor’s products with another i.e. the problem is that surgical instruments supplied by different vendors have different codes? It’s like comparing Coca Cola 1 litre bottles with Pepsi Cola 1 litre bottles. Yet as far as the NHS is concerned a surgical instrument is a surgical instrument. So there is a need to train, educate, understand and interpret the data and understand supplier performance at a very detailed level both during the initial project master data set-up stages and on-going. The NHS is very aware of this complexity and require GS1 support for putting in place unique identifiable codes. Getting it right however is the key to the project’s success. Those in doubt need to ask why it has taken 3-4 years since joining Gs1 to announce the project. Will all the small/medium enterprises supplying the NHS conform to GS1 standards, and if so how quickly? 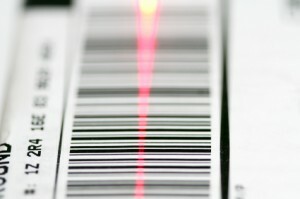 Having a barcode is not the same thing as working to GS1 however this is an important NHS issue to improve patient safety and reduce costs. Failure to comply will hit the NHS’ bottom line and patient safety targets. The NHS will require suppliers to conform to a global standard, in the way Tesco, Asda and major retailers also require. The SME will need to make the change so they can communicate their requirements (requisitions, orders, delivery notes, invoices) in a common language and they can expect their items to be identified in a standard format. The question is, can they set up the standards and label the products for existing and new items in the next 18 months to meet NHS targets? What level is the NHS talking about? GS1 implies tracking will be at product level and not individual item level. GS1 however enables the same identification numbers to be carried in bar codes and RFID tags and the two carriers to co-exist, allowing a migration from one to the other over a period of time. If the NHS want RFID however, this sounds like a phased project approach over a longer period. At the current time however the NHS has only limited trials of RFID technology e.g. Patient Identification which was one of the early adopter projects. So expect GS1 to be adopted however RFID to be a slower process. The NHS has planned, discussed and tested GS1 for 3-4 years. We have no doubt the project will get up and running however given the work to date, expect it to be an expensive, complex and time consuming project with an aggressive implementation date. Let’s await the report on the next milestone!